July, 2044: The tranquility chip, a new-tech brain implant device no bigger than a sunflower seed, allows users to dampen the human “fight or flight” reaction, giving the rational mind an edge. The chip and the techniques surrounding this enhanced brain discipline have given rise to the first viable third political party in the US in more than a century. But, with so much riding on it and the presidential election looming, what if a programmer and a rogue intelligence officer discovered that somebody hacked the chip? Where can you turn when your brain is no longer safe? Steve Semler is an author of both fiction (science fiction and fantasy) and non-fiction (training, human resources, and leadership). He has a background in learning psychology and experience in a variety of business environments. He earned his bachelor’s degree in Psychology from the University of Wisconsin, his master’s degree in Human Resource Management and Development from Chapman University, and is slowly working toward finishing his Ph.D. in Human Resource Development at the University of Minnesota. Fiction: Steve started by writing fan fiction for Watership Down at the age of 11, and has gone on from there with fantasy and science fiction being his major passions. Early influences ranged from Robert Heinlein, Anne McCaffrey, and Isaac Asimov to the Minneapolis “Scribblies” writers’ group (Steven Brust, Emma Bull, Will Shetterly, Pat Wrede, and others). 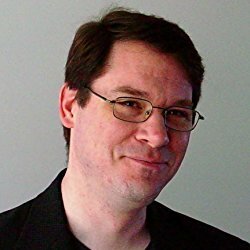 Steve sometimes takes fantasy or science fiction RPGs or MMORPGs as creative inspiration for his stories, and then asks “What if…?” questions to provoke thought and entertainment. “A Wing and a Prayer” was his first published novel-length work, followed by “A Strong, Strong Wind” and “All Forests are One.” He continues to write more! Non-Fiction: While no relation to Ricardo Semler (of “Maverick” fame in Brazil), Steve’s humanist leadership philosophy is remarkably similar. Steve has worked in various training, HR, and logistics management positions, in both internal management and external consultant roles. He has helped build training groups, established a corporate university, and won both corporate university and academic research awards. He founded and runs his own consulting business, LearningSim. In addition to the variety of firms for which he has done consulting work, he has work experience with MoneyGram International, The Mosaic Company, The Schwan Food Company, Honeywell, and the US Army (active and reserve duty). The “5-Step Simulations” model he developed at LearningSim is at the core of much of his non-fiction work. Summer, 2044. 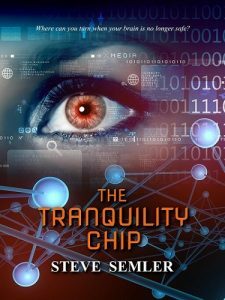 Ethan Weber, a brain implant firmware programmer, finds a suspicious flaw in the code of the tranquility chip, a new-tech brain implant device. No bigger than a sunflower seed, the tranquility chip allows users to dampen the human “fight or flight” reaction, giving the rational mind an edge. The chip and the techniques surrounding this enhanced brain discipline have given rise to the Rational Party, the first viable third political party in the US in more than a century. He reports the incident to his superiors, but the hack is covered up by a rogue government plant inside the company. Before the agents can “plug the leak,” US Army Captain Veronica Rosen rescues him and the two begin their escape into the shadows. Veronica is a test subject in the company’s experimental “warrior chip” project and a cyberwarfare expert. The pair work to discover who is behind the hack and what they intend to do with it, just one step ahead of their pursuers. With the help of some friends and contacts in unusual places, they learn of the “Committee,” a cabal of powerful Washington power brokers who want to destroy the rising third party. The Rational Party is poised for success on the eve of its national convention, and it has been winning away legislators and voters from both the Democratic and Republican parties. When the Committee exploits the hack they created, 40 million people around the world are stricken. Ethan and Veronica have to fix the hack, obtain evidence of the Committee’s involvement, and get it all back to the real authorities in time to prevent the Rational Party and its presidential candidate from being eliminated. The Tranquility Chip is a near-future science-fiction story that combines brain science, politics, espionage, cyberwarfare, military action, romance, and human interest in one novel. This future is less than 30 years away, but it is entirely possible given the current trajectory of science, technology, and politics. Suddenly given the powers of an ancient Sumerian goddess, Sheena Gardner, a young Wisconsin game warden, must learn to use them properly before the superpowered villain who covets those powers kills her or her husband. But this sudden transformation out of the depths of time poses changes not just to Sheena’s abilities, but also to her relationship with her husband, her mutant pop-star friend, and everyone else she knows. In order to adapt, she must stretch and test her own limits while her husband, Eric, has to learn to deal with a very different dynamic of risk, responsibility, and power in their relationship. In the process, Sheena learns of the real reason she was given the powers and has to discover and foil a plot not just against her, but against civilization itself. Written in the spirit of the City of Heroes MMORPG, The Secret World Chronicles, Arrow, The Flash, The Avengers, Iron Man, and many other works of comic book-based heroic science fiction. Gayle Magnuson is a mutant. She is also a superhero, an international pop star, and a young woman trying to stay normal in a world that is anything but. This is a collection of stories that tells Gayle’s tale from the day she lost her mother to an alien invasion up through the release of her second rock music CD. Coming to Venture City from the Midwest, Gayle recovers from the grief and depression following her mother’s death and makes a place for herself in a world of where mutants, magic, villainous masterminds, and high-tech wonders are everyday occurrences. This is a prequel to A Wing and a Prayer. Written in the spirit of the City of Heroes MMORPG, The Secret World Chronicles, Arrow, The Flash, The Avengers, Iron Man, and many other works of comic book-based heroic science fiction. Overall, the stories that make up A Strong, Strong Wind are rated Teen or Young Adult for subject matter and language. They have an even stronger flavor of the original City of Heroes game than A Wing and a Prayer, and set the stage for what Venture City was to become. 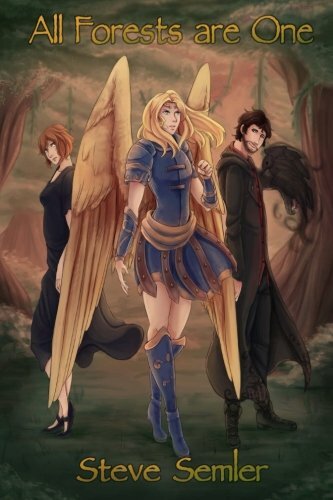 The faerie world doesn’t often concern itself with mortal affairs, but that changes when the Dark Court finds a hero standing in the way of its plans. 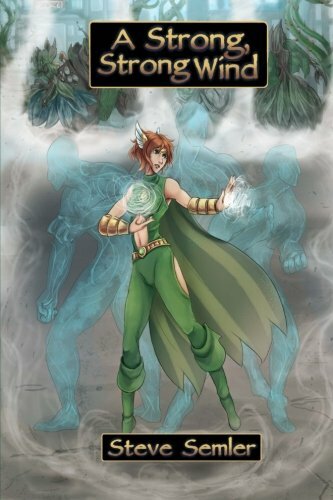 Sheena Gardner, a game warden-turned-superhero with the powers of an ancient Sumerian goddess, is caught up at the center of otherworldly threats when she receives a mysterious warning from a nature spirit in northern Wisconsin. Sheena and her mutant pop star friend, Gayle, have to uncover the plot behind the threat to the forests of the world. The heroines investigate, winding their way deeper and deeper into the layers of misdirection and magic woven about an ancient conflict by the Unseighlie fey. This time, merely changing the time stream will not stop the schemes of the dark faeries. 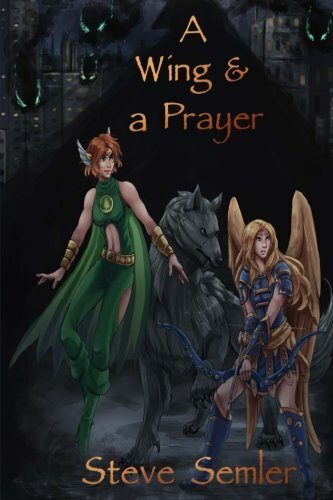 Sheena and Gayle need supernatural help to prevent darkness from infecting the souls of humanity. To end the real threat, Sheena has to overcome her imposter syndrome and ask for help before a betrayer seals their fates forever. Written in the spirit of the City of Heroes MMORPG, The Secret World Chronicles, Arrow, The Flash, The Avengers, Iron Man, and many other works of comic book-based heroic science fiction. #NaNoWriMo2017 "Whispers of the Dragon" first draft is complete! It went to 128K words in two months. I'm pleased with how this turned out, but now it's time for editing! #NaNoWriMo2017 #NaNoWinner2017 Reached 50,000 words on "Whispers of the Dragon" on November 20 and continued writing. Finished the month with 79,263 words. Still writing! The finished first draft is probably going to be about 120K and done in mid-December. Uncheck here if you agree to contact.